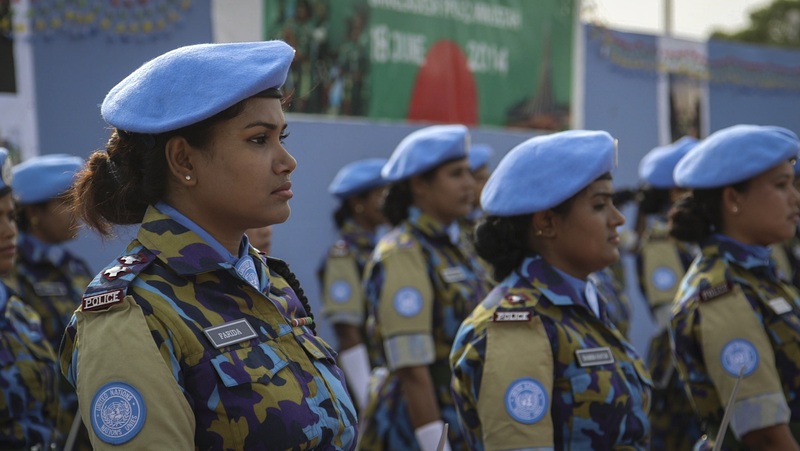 Pictured:Farida Parveen in Line, as seen in "A Journey of a Thousand Miles: Peacekeepers." In a year when American women mobilized, ran for office, and were elected to Congress in unprecedented numbers, this acclaimed documentary series returns. Women, War & Peace returns Monday, March 25 at 9:30pm and Tuesday, March 26, 2019 from 9:30 p.m. on WXXI-TV with powerful stories of women’s role in dramatic conflicts and peace settlements across the globe. Series II demonstrates how some of the biggest international stories of recent memory are shaped by women. An all-female cast of directors present four never-before-told stories about the women who risked their lives for peace, changing history in the process: Wave Goodbye to Dinosaurs (Eimhear O’Neill), Naila and the Uprising(Julia Bacha), A Journey of a Thousand Miles: Peacekeepers (Geeta Gandbhir and Sharmeen Obaid-Chinoy) and The Trials of Spring (Gini Reticker). Women, War & Peace II is executive produced by Abigail Disney andGini Reticker for Fork Films and Stephen Segaller for THIRTEEN Productions LLC for WNET. The original groundbreaking documentary series Women, War & Peace premiered on PBS in 2011.